The Interview arrived in select theaters over the Christmas holiday without incident, and for now, the Sony hack seems to have quieted down. While plenty of emails and documents leaked from inside the studio that were potentially damaging, one of the funner items came from Sony chairman Amy Pascal, who suggested that Idris Elba be the one to take over the role of James Bond when Daniel Craig decides he's finished with the character. A few days have gone by, and now the actor has responded to this casting idea on his personal twitter. The Sony hack actually revealed quite a bit about the now in production 24th Bond film, entitled Spectre. The script leaked, and the film was exposed as being over budget, nearing $300+ million. While some Sony films saw their filming suspended during this troubling period for the studio, Spectre wasn't one of them. The studio realizes the importance of the sequel making its November 2015 release date. Daniel Craig is under contract to appear in one more Bond film after Spectre. Though, the Spectre screenplay is reported to end with a hilariously bad second act, and if it continues to generate enough negative press, his departure could come sooner than later. The actor has been rather candid about wanting to walk away from the role in the past couple of years. Both Sean Connery and Timothy Dalton walked away from the franchise earlier than expected, and Daniel Craig may follow suit. Idris Elba is a name that has come up time and again in regards to 007. Though, his is a name that often inspires controversy due to the color of his skin. 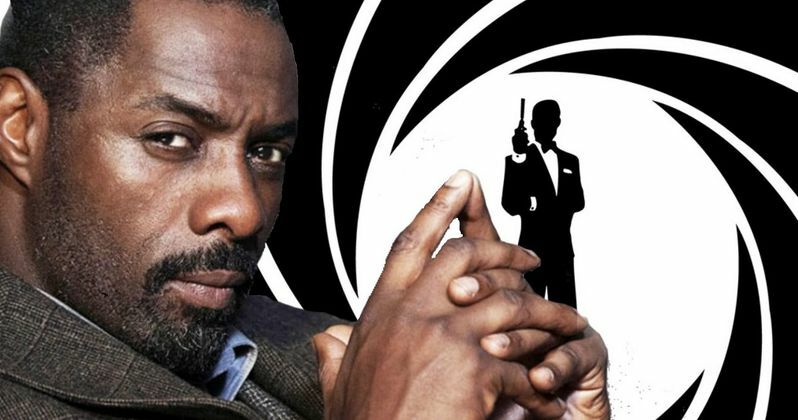 Do you think it's time the world had an African-American James Bond? Or do you think there is another British actor out there who is more suited to the role?